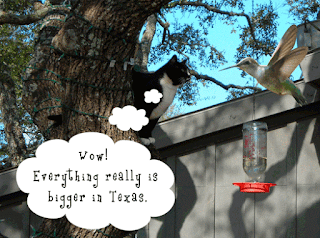 Bootsie Learns the hard way what the saying "Everything is bigger in Texas" means. 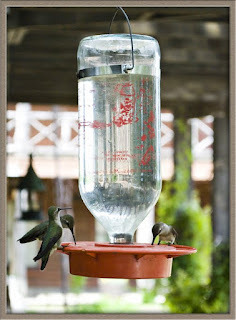 The hummingbirds have returned to the Inn Above Onion Creek and the Inn's courtyard is coming back to it's full glory with loads of butterflies, birds and flowers. We hope you all can come visit during this beautiful time of year. Next up.... pool time!